PATH International has partnered with WWP to provide EAAT for WWP Alumni. 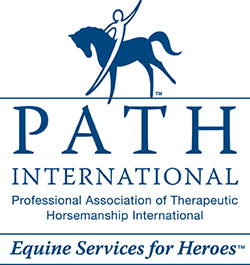 WWP has made a significant gift to PATH International for the purpose of awarding scholarships for EAAT to WWP Alumni who have expressed an interest in therapeutic horsemanship. The scholarships are available for WWP Alumni to ride at PATH International PACs across the country. PATH International has long been a leader in offering EAAT to wounded military veterans and active service personnel and from the start has recognized the tremendous sacrifice that brings many of these men and women to PATH International Centers. PATH International Equine Services for Heroes assists military veterans through services provided by PATH International Members and Center Members by providing leadership and guidance for equine-assisted activities and therapies (EAAT). "Returning Vets Find Solace in the Soil"
Since its inception ETA has planted a garden at the barn, which is maintained and harvested by students and volunteers. Students and volunteers learn about integrated pest management, the life cycle of nutrients, that food comes from the soil and does not spring "immaculately" from Giant or Safeway (! 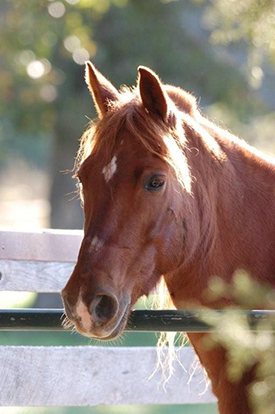 ), and that the health and well-being of our beloved equines is directly related to the grass that they consume, which, like the garden, is fertilized by the compost that originates in our barn detritus. Now, survey research has proven that veterans and others disabled with physical, mental and learning challenges benefit from organic gardening! Therapeutic Alternatives of MD (TA of MD) has even launched a job-training program for military veterans based on its gardening program, which is similar in some ways to the certificate program for pasture management that ETA has offered for many years, which is advertised through the U.S. Department of Agriculture. We here at ETA, along with TA of MD, have joined organizations all around the country to connect veterans to agriculture. The Farmer-Veteran Coalition, founded in 2007, now encompasses at least 5,000 members, including 72 in MD. Even the Veterans Administration's Maryland Health Care System now offers horticultural therapy to vets at its Perry Point facility. 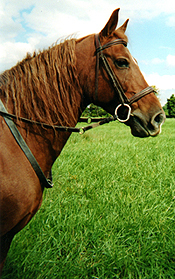 The 10-20% of vets from Afghanistan and Iraq who suffer from Post-Traumatic-Stress-Syndrome (PTSD) often find mental satisfaction in gardening and farming, due to its tranquil setting, while also providing reassuring and relaxing physical activity of various levels, as well as cognitive enrichment and access to the equines. ETA uses this physically active but mentally calming method of learning in ALL of its curricula. WHO QUALIFIES TO BE A WARRIOR PARTICIPANT? to enroll TODAY! (301) 972-7833.